Collyer, who currently lives on Flint’s Eastside and “loves the innovative urban farming culture going on in his neighborhood,” grew up on a six acre farm in Monroe, then after serving in the U.S. Navy, settled in Argentine before moving to Flint. Collyer has revived the soil, growing and agricultural skills learned in his youth. In fact, Collyer is putting those skills to use in a new way. 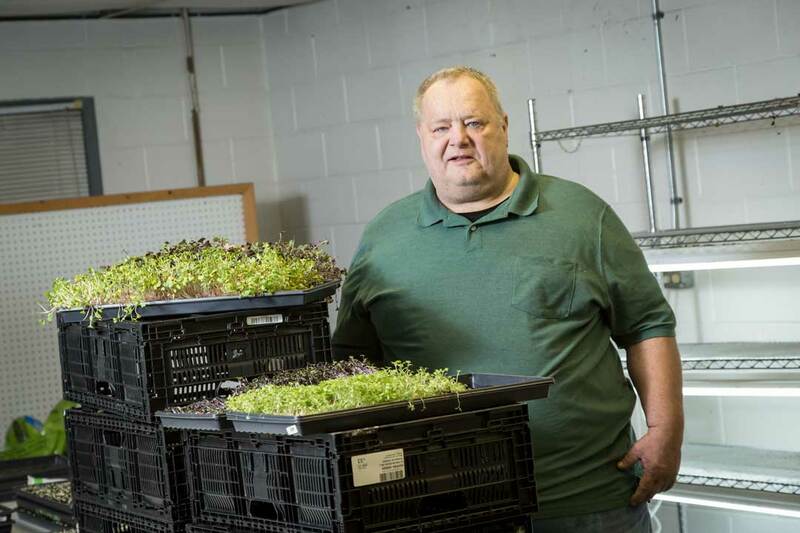 In February, he became a cuttingedge,indoor, urban, vertical-growing microgreens farmer – who owns and operates Happy Little Greens Farm inside the former Mid-Michigan Lock and Safe building at 1831 Bennett Avenue. He describes his location as “right in the middle of the green zone at Franklin and Bennett.” His journey began after participating in the University of Michigan-Flint Outreach Center’s (IN) Innovation Incubator “On the Road” program, where he earned first place in their pitch contest. In as little as nine months, Collyer’s newly formed “green” passion-turned-business has gotten noticed by people like Redwood Steakhouse & Brewery managing partner and executive chef, Luis Fernandes, who is helping him reach his goal of replacing iceberg lettuce with sustainably-grown alternatives. He also won $2,000 in the I-69 Trade Corridor, “Catapult Your Craft Food & Beverage Business Contest,” which awarded a total of $30,000 to assist Michigan entrepreneurs and small business owners with starting or growing their craft food or beverage businesses. 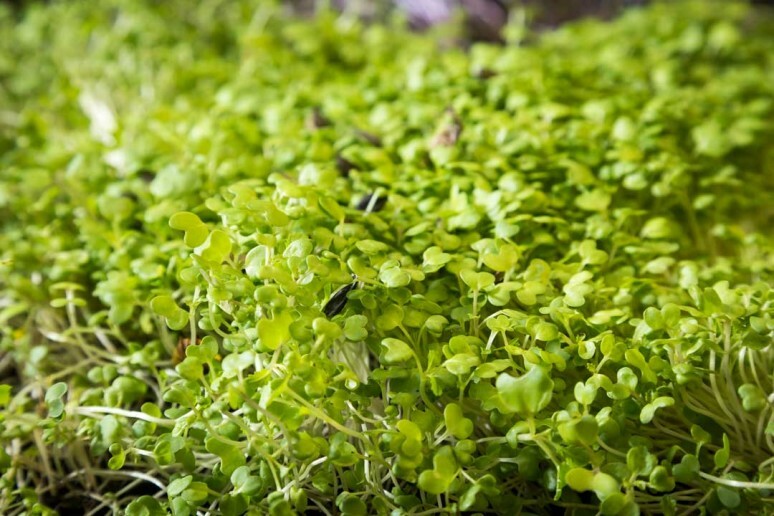 ering to do cooking demonstrations using microgreens to help educate residents and other food connoisseurs about their value. “It’s a dietary benefit to the community,” Kinzie says. First posted on My City Magazine 2 April, 2018.